Could central China have been hit by a terror attack? 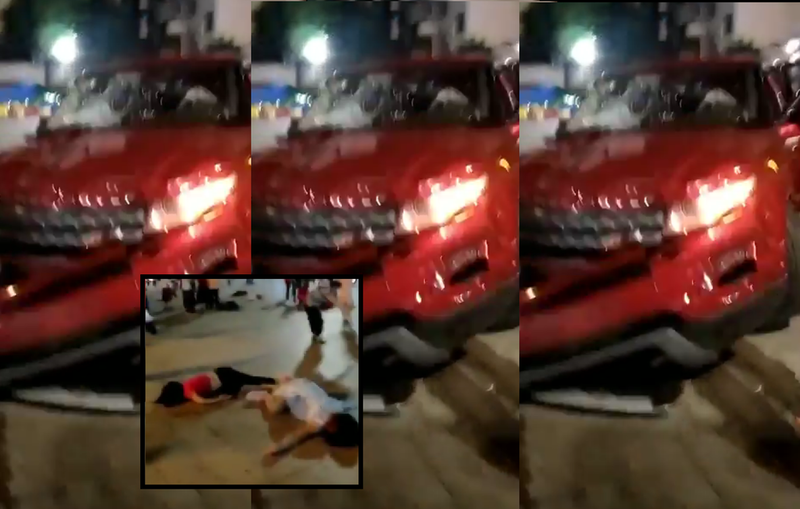 If you consider Chinese media the answer is completely negative as nothing will indicate what happened in Hengyang City yesterday evening where a red SUV Range Rover drove purposely into a large crowd, leaving many lifeless on the pavement and others suffering grave injury. The officially announced end result was 9 dead and 46 wounded. After Baidu and Weibo are filtered, now also Twitter is slowly getting cleaned up of all references as to what took place, but some commenters and videos still remain, certainly the ones in English. One Chinese twitter user said: “A car struck dozens of people in Hengyang City during a dance event that was underway. A man has been arrested and the cause of the incident is unknown at this stage." The official statement of the Beijing government did not reveal whether the incident was terror-related. A local government source admitted to a state-run newspaper in a first response that it was a "deliberate, malicious case of driving with intent to injure". We are not sure whether the Chinese press will print this tomorrow though. By this morning, the story is that police named the suspect as a 54-year-old man called Yang Zanyun of whom local media say that criminal records show he had already served time in prison for arson and drugs related offences. As always, the ‘Middle Kingdom’ is very limited in giving any further information. What do you think about China’s possible terror attack Let us know in the comments section below. 100% freedom of speech, 100% anonymous. the interesting part about that is how the Chinese and British governments react *in exactly the same way* regarding muslim terrorists. He almost made it to California, but the zombies got him.